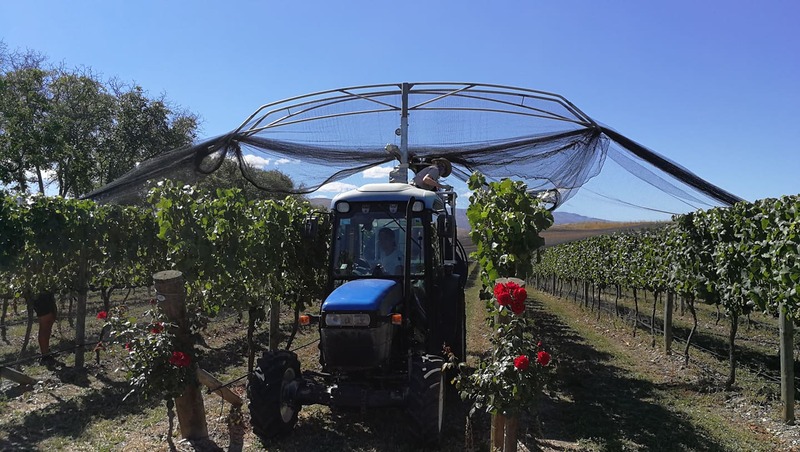 Vineyard Noir - the colour black has strong associations in the vineyard - ripening pinot noir, blackbirds and our means of minimising the damage that they do with black nets are indications that harvest is only a matter of six or so weeks ago. Blackbirds (and other birds) are a major menace in the vineyard - blackbirds are very discerning and show a distinct preference for Pinot Noir (I reckon they can spot a ripe berry at 200 metres!) - and they do this as soon as the grapes start to change colour. In the bunch below only the 'black' grapes have been targeted!! 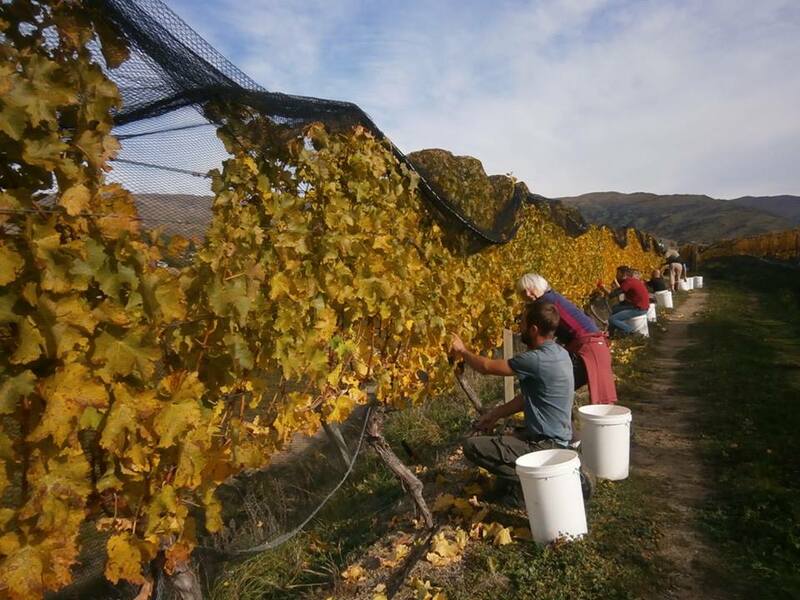 So just before the grapes go through veraisin (the point at which about 50% of a bunch is showing colour) Fiona and her team have a tough couple of weeks getting the nets out on both Defiance and Domain Road Vineyards. Now, with a sigh of relief, both vineyards are safely netted. All we ask is for warm days and cool nights during March to finish the growing season so the grapes develop the sugars and flavours we want for our wines. Our latest release - Symposium is named from the Greek sympinein meaning to drink together, especially after a meal. In english the original meaning of 'symposium' was a drinking party!! 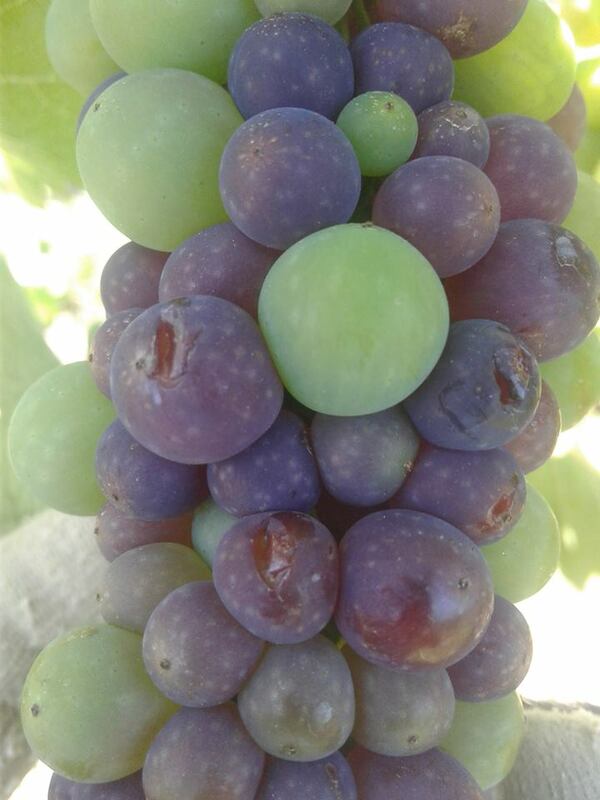 This idea appealed to us so we decided to use it for the late harvest sauvignon blanc we made for the first time in 2018. The sauvignon blanc vines that we used for our late harvest wine are planted on Templar's Hill, part of Domain Road Vineyard, an area untouched by the 19th Century gold miners. This site was chose for its unique position on top of a hill allowing the grapes to over ripen without disease pressure. 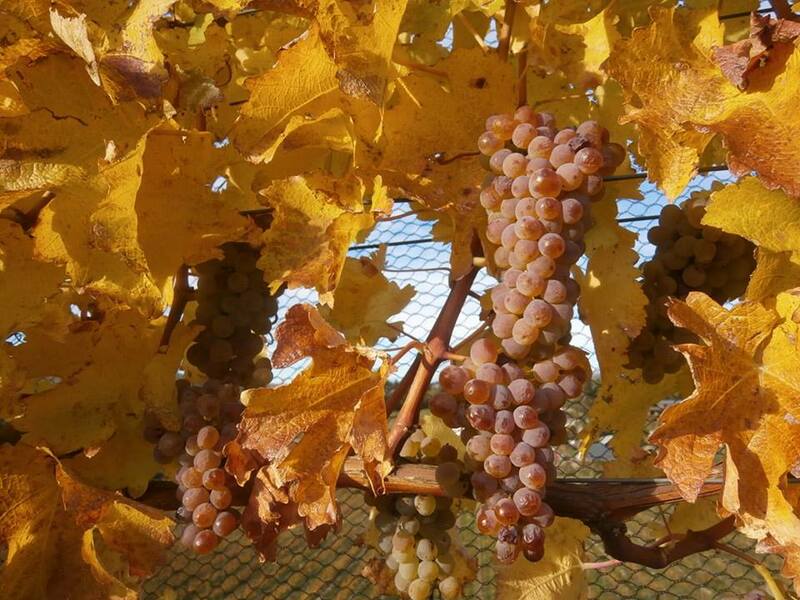 The bunches and the leaves were definitely golden when we picked - how appropriate for this delicious wine……. The grapes were hand harvested on 26th April 2018, foot crushed in bins and given a period of cold soak before pressing. The resulting juice was cold settled before racking and inoculation with selected yeast. Sixty six percent of the juice was fermented in tanks with the balance undergoing barrel fermentation in a French oak barrique. The colour of pale straw Symposium is complex and mouth filling. 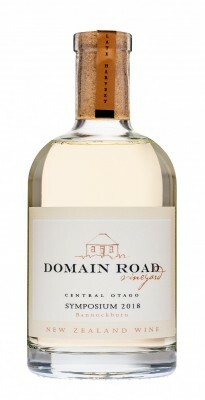 Fragrantly floral, aromas of white peach, sherbet, honey, crystallised ginger and cinnamon are noticeable on the nose. These are complemented by flavours of feijoas, guavas, apricots, gingernuts and zesty lime on the palate. Symposium delivers a rich lush texture balanced by a long and spicy finish. Sound yummy to you - then all you have to do is go to our purchase page and buy some! !